The abalone shell of changing colors was most highly valued for decoration of the person and it was cut and polished into various forms...and used as the coin of the day. 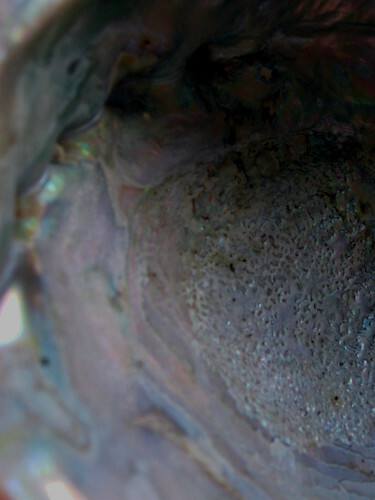 The Indian tribes of the interior came here to get this abalone coin, and ornament - exchanging discoveries...and ideas of the Great Spirit, whom they all worshipped and who directed them all. They were worshippers of nature in every form: the sun, moon, stars, mountain, lightening, rain clouds, flowers, animals, and reptiles. 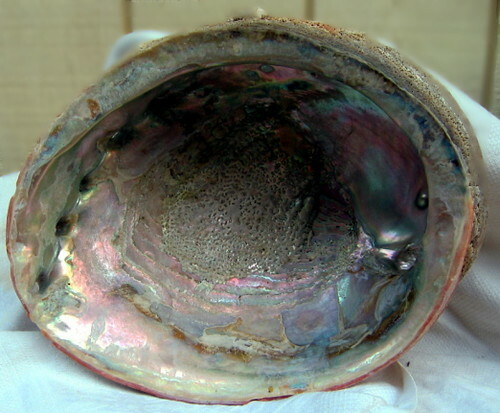 The abalone (haliotis), is a large, local sea snail (a gastropod) that grows at the edge of our shores. It anchors itself with its strong foot - using an iron grip -to attach to outcroppings of rocks. 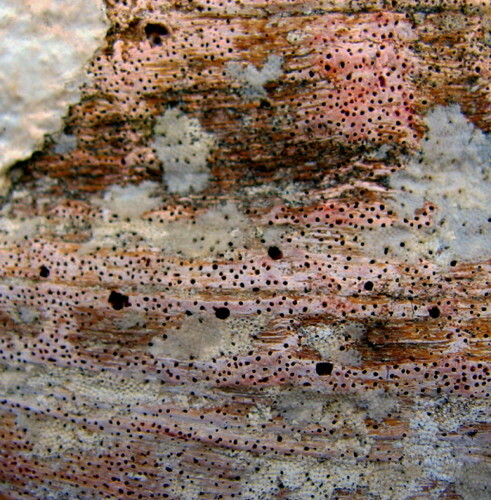 Abalone were found in large, thick colonies along the south coast of Califo rnia, as well as the Channel Islands, for thousands of years. But, because of changes in the climate, as well as having been "overfished", it has become more scarce - almost extinct - during the past 40 years. The Chumash, who lived in harmony with nature, harvested the abalone for its sweet and nutritious meat, and for the beautiful shells that were used as bowls, money, jewelry. 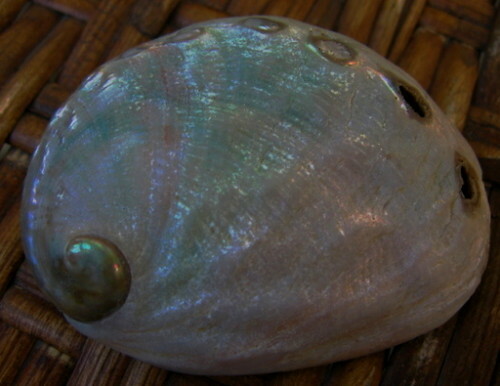 Abalone shell was also carved into sturdy fish hooks. Using the natural inner curve of the shell, the Chumash hooks were crafted to be strong and sharp. They mirrored the colors of the sea and sky. Abalone shells have always been used by the Chumash - then and now - during religious and healing ceremonies, often as vessels for burning white sage. White sage is an herb that grows with abandon in our valleys and mountains. Its fragrant leaves are soft and gray-green, the flowers are violet - a favorite of hummingbirds and bees. 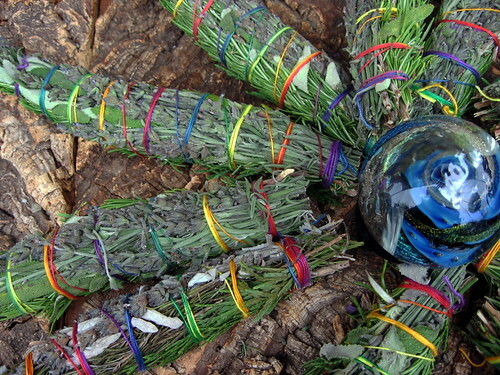 The Chumash gather the herb, with prayer, and dry it in compact bundles. Once lit, the dried herbs smolder, producing white aromatic smoke. The smoke is fanned outward, over a person, or a particular area. Sometimes, the dry sage is burned in an abalone shell; the smoke is waved into the air by using a large feather. Often, it is a feather of the red-tailed hawk, an indigenous raptor, much beloved by the Chumash. The healer, or an elder from the village, put a small branch of dried white sage in a suitable container such as a seashell, typically an abalone shell. The white sage was ignited with fire. The flames were blown out allowing the white sage to smolder and smoke. The smoke from white sage has a pleasant smell and is thought to help carry prayers to God. The healer prayed for the health of the patient while moving the seashell to allow the smoke to touch every part of the patient's body including the soles of the feet. The healer sometimes touched the patient's back with an eagle or hawk wing to draw out harmful spirits (nunasus). The wing was then flicked down to send the harmful spirits back into the underworld where they originated. Smudging with white sage is still practiced by Chumash p eople today. All these elements - items from the earth, the sea, the air - combine to offer cleansing and healing to a person - or a place. The Healer frequently starts treatment with white sage (Salvia apiana), which purifies the central nervous system to help a person maintain integrity. White sage is wey'wey in Chumash (pronounced waykway). Chumash plant names were initially recorded by Harrington [John P. Harrington]. White sage can help a patient become calm enough to be rational. White sage may be the foundation of treatment since it can help set the spirit back to normal. White sage tickles the spirit and sets it right again. White sage is our protection. Ideally, we should all take white sage every day to help maintain spiritual health, when used with prayer. This can be done by planting and maintaining white sage plants in gardens. Seeds or plants can be obtained from some nurseries and botanical gardens. 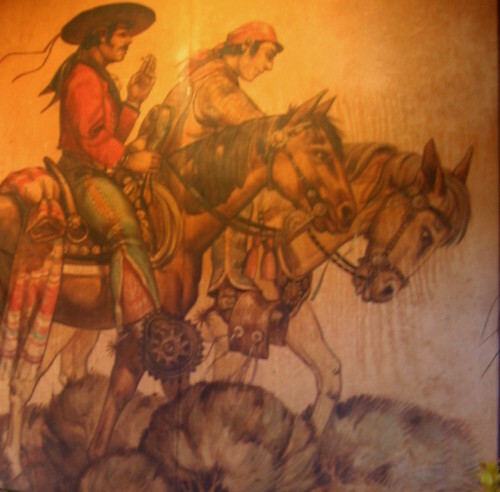 The Tongva and other people used to plant and tend white sage near their village sites. White sage bushes grow in full sun, in sandy soil and are drought resistant. They have long, thin leaves about 3 inches long with a silver, green color and a pleasant sage smell. The flowers are small, white, sometimes with purple, and have long anthers that emerge out of the flowers. The shiny, black or brown seeds have a pleasant sage flavor. White sage, like any plant, should be collected with prayer. Only the amount needed should be collected. A small branch or a single leaf can be broken off for each use. Each leaf contains vital medicine for the health of the spirit. Santa Barbara's El Paseo Guacamole - ¡El Guacamole Auténtico! Memorial Day weekend is the official beginning of the summer entertaining season. Fortunately, it is also the prime season for Hass avocados - right now they are plentiful and ripe. 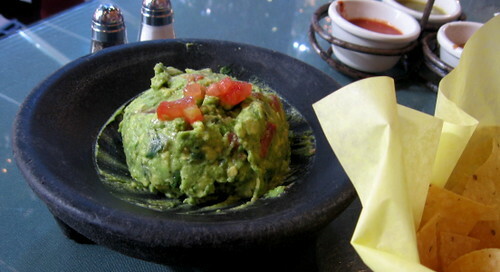 And, although the world abounds with guacamole recipes with ingredients like goat cheese, vermouth, and sake and soy sauce, the most delicious, authentic guacamole anywhere, is served at the El Paseo Restaurant in Santa Barbara. 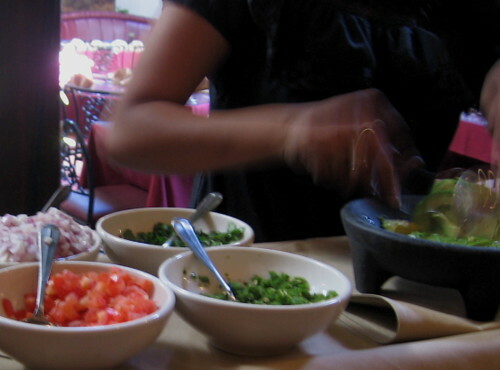 The guacamole is made fresh to order at your table. 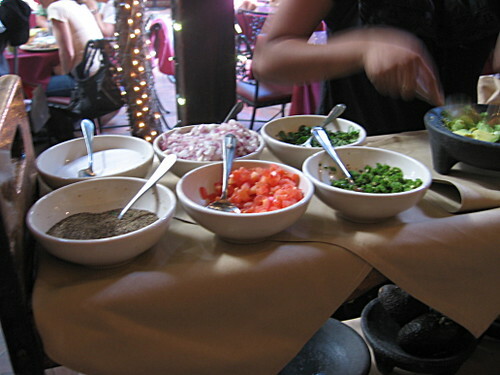 The dish is made and served in a molcajete. 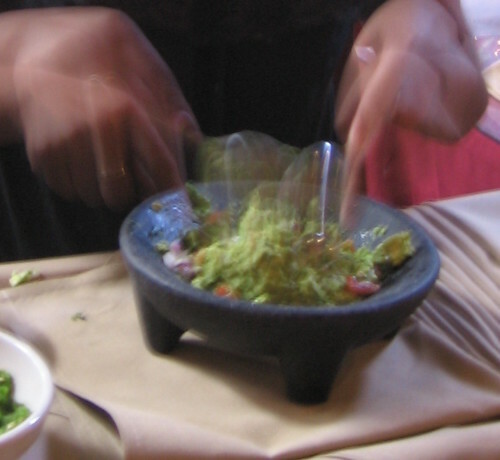 The molcajete, along with the tejolote, are the mortar and pestle, an ancient cooking tool used originally by the Aztecs and Mayans, carved from rough, black basalt (although the restaurant varieties are usually plastic). Late one Sunday afternoon, we stopped in for refreshments. 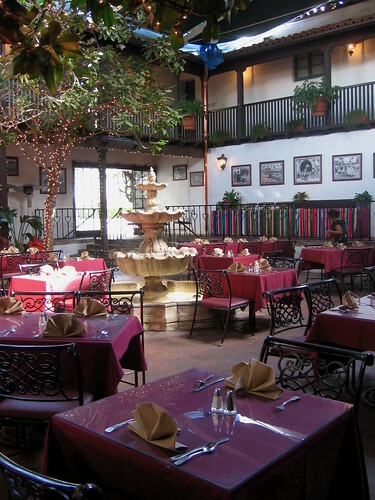 The restaurant had just opened for the evening, and there were only three or four tables of diners. Noelia came to our table to create our guacamole, fresh - to taste. 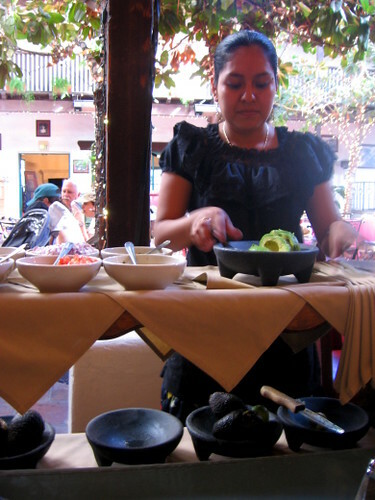 First, she cut two avocados, lengthwise, and scooped the soft green flesh of the fruit into the molcajete. Using two large spoons, she cut the avocado, with quick, horizontal slicing motions, using the sides of the spoons like blades. (Please, do not mash the avocado.) This method of preparation ensures that the texture of the fruit is light, chunky, and full of body. Next, Noelia added the juice of one fresh lime, diced red onion, cilantro, jalapeño peppers, tomatoes, course-ground salt, and pepper. She gauged the recipe according to our preference, asking, with each addition, if we would like additional cilantro, jalapeno, onion: ¿Sí, o no? As with many things - the old, simple way is often the best. This guacamole recipe is one of them. 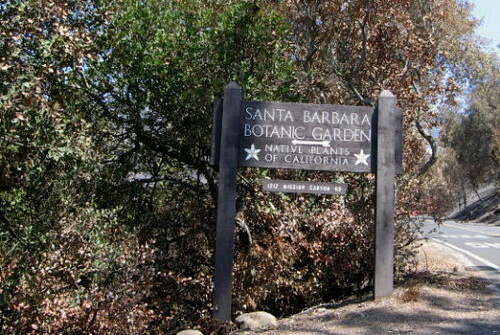 The Santa Barbara Botanic Garden is a much different place today than it was a month ago. Once a verdant showcase of California's native flora - the garden has been transformed into an entirely new landscape. The meadow, gift shop, Blaksley Library, and a few of the upper trails are intact. Almost everything else has been altered by the flames and searing heat that screamed up the canyon during the Jesusita Fire. 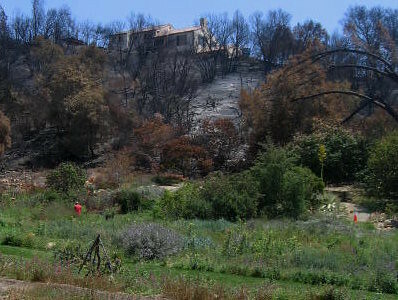 According to the Botanic Garden Conservation International website, the fire that destroyed much of the Santa Barbara Botanic Garden is just a portent of things to come. Climate changes coupled with the encroachment of civilization on Southern California's back country will result in a 50% increase in wildland fires in the coming years. The garden is now a stark map of our future - a black and white relief map of the losses we will sustain if we continue on our current course. When I visited the gardens last weekend, many area roads were still closed; residents who still had homes were assessing and cleaning and planning for the future. 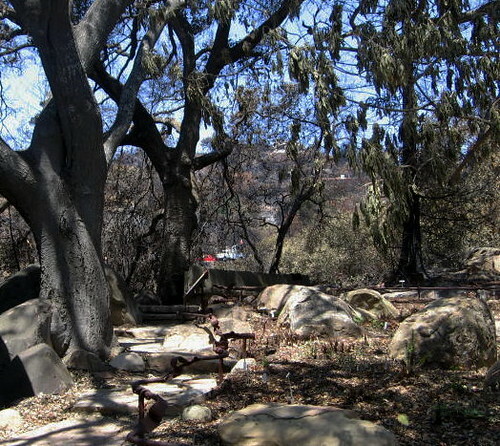 Through the branches of charred trees, across the canyon, I could see the red trucks of the Santa Barbara County Fire Department, and the equipment of local utility companies; I could hear chain saws and the voices of men. All through Mission Canyon, crews from the United States Forest Service worked alongside the road, and on the hills, cleaning, clearing, removing debris. 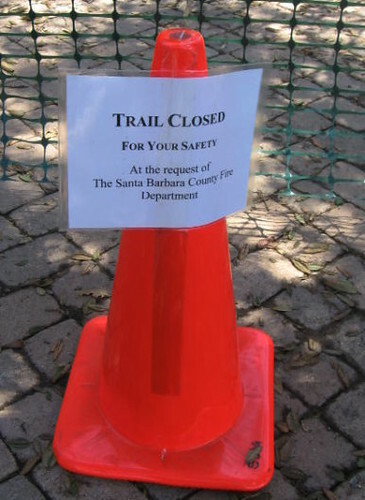 This was the most destructive event in the history of the Santa Barbara Botanic Garden. In 1925, the Garden became a reality, thanks to a partnership between the Carnegie Foundation and the Santa Barbara Museum of Natural History. Located up the canyon from the Santa Barbara Mission, the site offers views of mountain and ocean. The variety of microclimates allows for several distinct gardens: meadow, riparian, desert, coastal, mountain, and canyon. 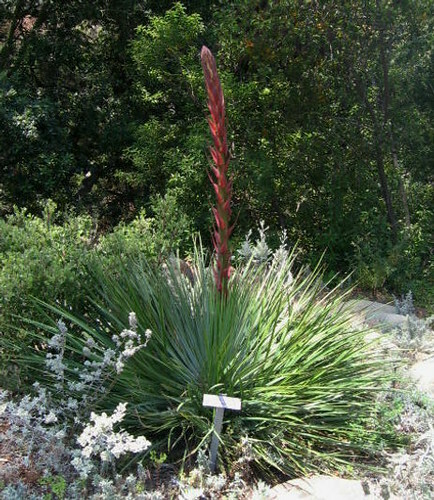 It was the perfect site to showcase the rich diversity of California's botanical heritage, including local native plants. The Garden has been a beloved community project, tended by botanists, scholars, conservationists, and local residents who have created a place of beauty....and thousands of visitors who have enjoyed the gardens with us. 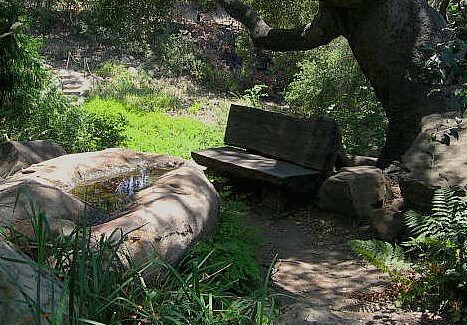 Throughout the gardens, you could find benches hewn from huge old logs, twisting trails, and perches from which to view the canyons, brass or wooden plaques commemorating a special life, a beloved spouse, even a canine friend. Layer upon layer for more than 80 years, the community has imbued this space with places set aside for seclusion, meditation, education, celebration. And while so much has been lost - much beauty remains. The redwood grove was heavily damaged - maybe even destroyed. Yet, I found an old big cone spruce tree that was resplendent in the spring afternoon. I found pathways that are still serene and shaded and cool. 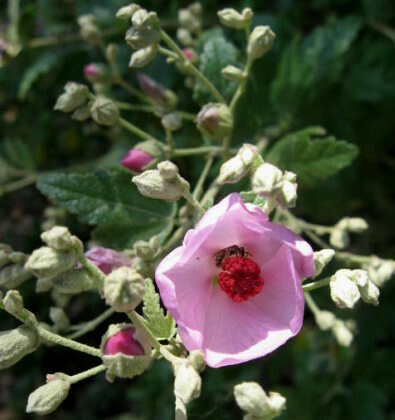 The Santa Cruz Island Bush Mallow, pulled back from extinction when there were fewer than 150 plants left on the planet, continues to bloom and hum with bees. 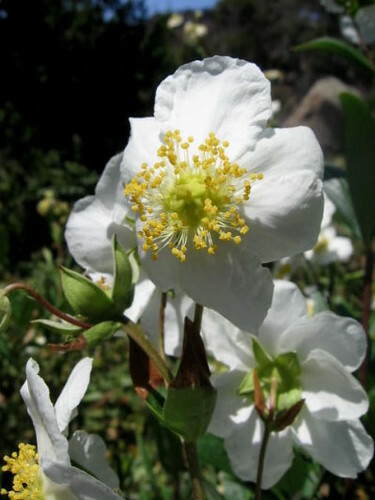 The Tree Anemone (Carpenteria californica), native of the Sierra Foothills, was found only in scant numbers and near extinction. Here it thrives and blooms in our meadow, with sun-drenched blossoms of white. The gift shop survived the conflagration. The Blaksley Library, designed by Lutah Maria Riggs, remains unscathed. Housing over 15,000 volumes of information about plants, gardens, animals, and geol0gy, the library is a living part of the community. There are journals, tens of thousands of photos, and other historical artifacts that are available to the public by special arrangement, free of charge. 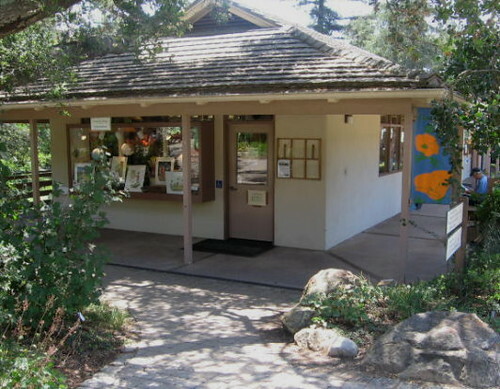 This precious resource has been gathered and maintained by the Santa Barbara Botanic Gardens, the Santa Barbara Museum of Natural History, and the Santa Barbara Historical Society. As I walked around the Garden, birds were singing as though it were the first day of creation. Lizards lounged on large boulders, then scampered from sight in an instant. A swallowtail butterfly, delicate and pale yellow, ribboned this way and that along the breeze. I could hear Mission Creek below. The water splashes over the the old stone dam built by the Chumash during the Mission period. 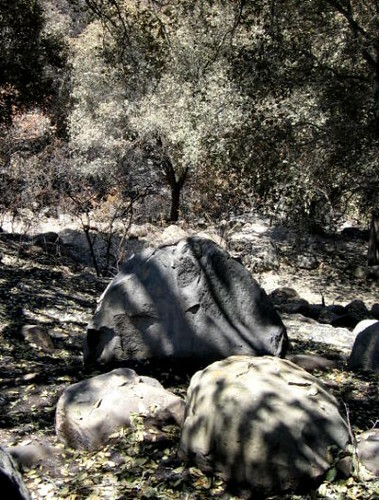 The stream originates in the mountains, and courses over boulders that crashed down from the tops of the Santa Ynez mountains to rest here, millennia ago. The Garden is alive. The Garden is hopeful. The Garden is our vision of the future, a landscape wrought of the choices we make today. Incantation addressed to Medicinal Herbs. From a 12th Century Medical Treatise in the British Museum. Now all you herbs of might, I beseech and supplicate your majesty; ye whom our Mother Earth hath brought forth and given as a gift to all nations, upon whom she has conferred the gift of healing and majesty in the sight of all men; be ye now a help and a profit to me....be ye here with all your virtues...and, so far as your virtues may extend, give ye healing and a good case and the grace of health....Grant that I may ever be permitted, by the favour of your majesty, to pluck you and to gather fruit in striving for you: Grant this, and I will give you thanks in the name of the majesty which hath brought you to life.